So I'm fairly new on this forum, but I've been lurking for a while, reading and trying to learn. I had all but given up on finding an affordable first gen k5. 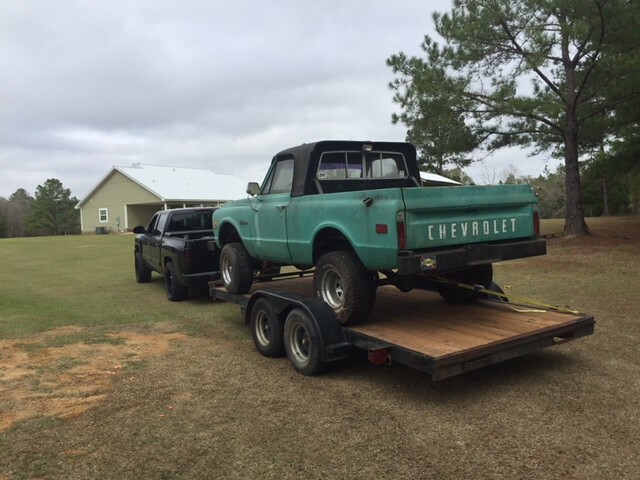 Y'all know what they go for, even rusted out POS's that are missing half their parts and I just couldn't spend that $ and have to then do a complete restoration on one. I really was set on a full convertible so I proceeded with option 2 back in November. 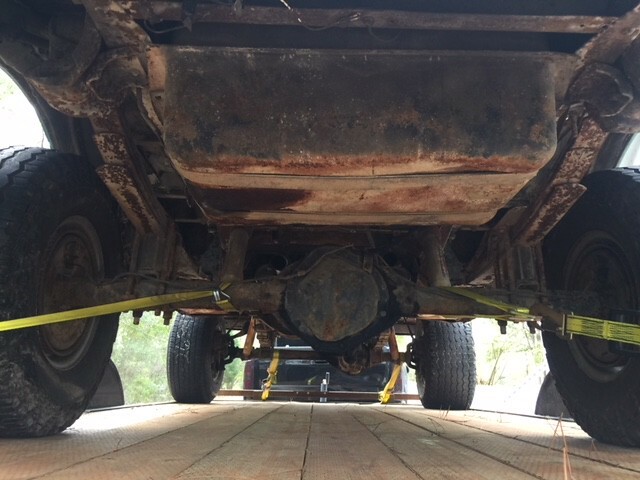 I bought a 74 body (thread and pics over on the 73-91 forum) with plans to buy a nice late 80's-91 K5 later and use the windshield frame, door parts and top to make it a full convertible. The first gen still was calling me though. I was browsing Facebook marketplace on Tuesday afternoon and found this gem that was listed less than an hour before. I was the 1st caller and #2 in line behind a guy he had known his whole life. 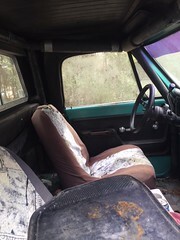 It was priced low I thought so I offered to pay up $300 to ensure he knew i was serious and to not loose my spot. I was there the next morning at 9am once he told me the first guy didn't have the cash to buy that day. 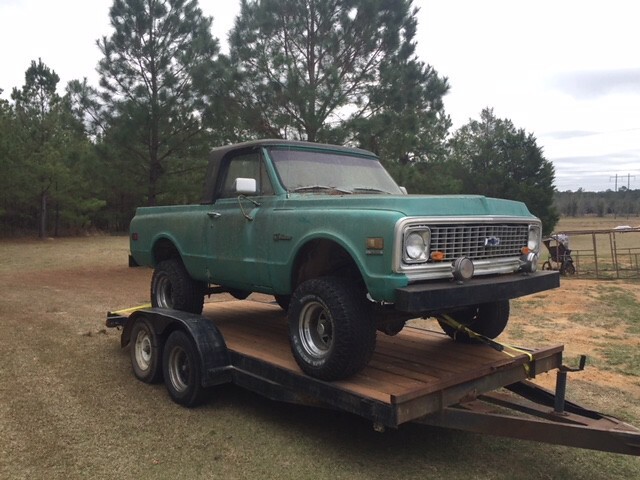 Details: 72 K5 350/350, 4x4, P/S, white top, heavy duty radiator, positraction, anyone know what the first "1AN310 Heavy-Duty Auxiliary" means? I couldn't find it on the options sheet I found online. Also any clue what gear ratio it has? 3:73's since nothing special is listed? 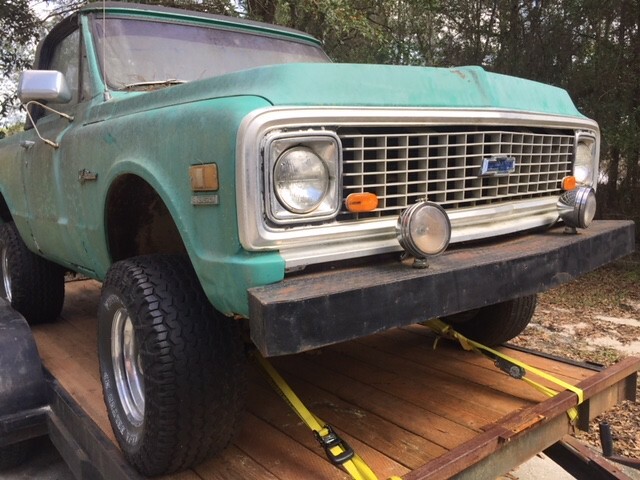 Supposively I bought it from the 3rd owner, been in the FL panhandle its entire life. A dentist bought it new as a hunting vehicle. 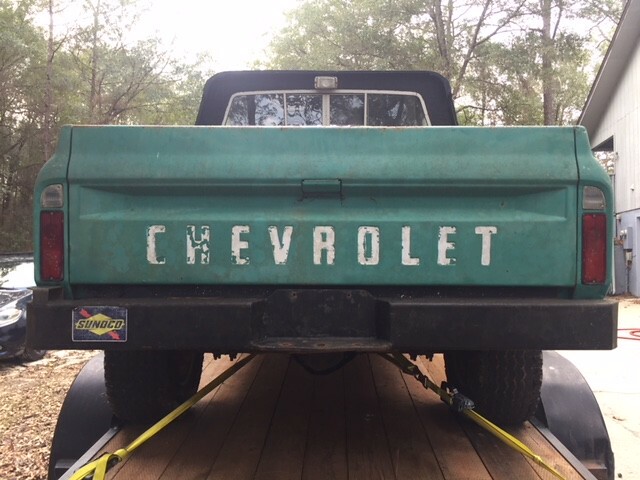 It's pretty much original, showing 113k on the OD, guy said it worked until a few years ago, most all the gauges work, 4x4 works, had to put it in 4 low to get it on the trailer, top took a hit from a tree along the way so they cut it down and made it into a half cab, has a roll cage in the front (quality still to be determined), ran good once we blew the fuel line out, pretty sure it needs a new gas tank. Guy I bought it from put a set of valve seals in it and an electronic distributor while he owned it. Said the bottom end hasnt been touched. Last edited by K5 MAX; 02-16-2018 at 06:33 PM. Sooo, what do you guys thinks it worth? Planning on keeping it, get it sound mechanically so I can drive it, new tires, run it with no top until I can find one at a decent price. 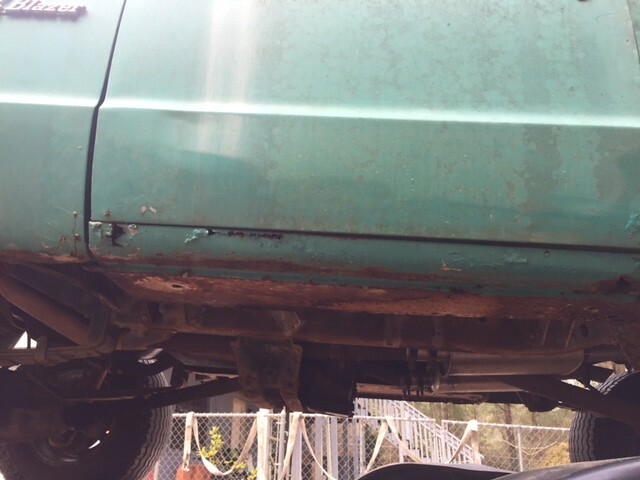 Then start with rust repair, bed liner the whole inside, late model Chevy seats, paint. LS swap one say down the road most likely. It's got a lift right, or did they come with blocks in the rear factory? Last edited by K5 MAX; 02-16-2018 at 06:52 PM. 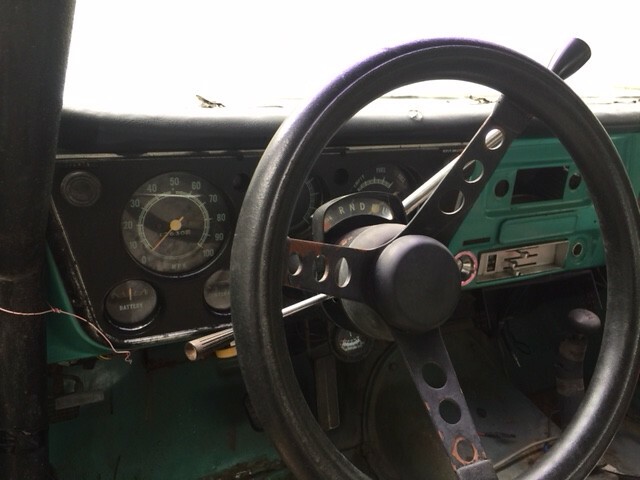 I believe the 350/350 Blazers had 3:07 gear ratios. Your new rig looks like everything is there which is a plus. 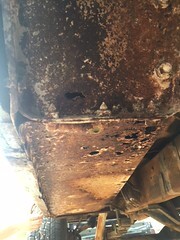 You are going to have a lot of rust repair. 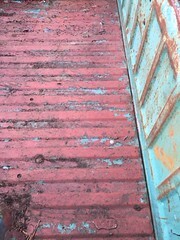 Look at the frame closely to check for rot before you stick a lot of money into it. It will be a real nice Blazer if you bring her back. Congrats. 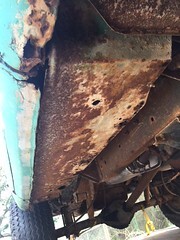 Having restored a few of these - I can see several spots that if they are rusted, there is more hiding. The good news - is that advancements have been made in replacement panels for Blazers so you can get fixed it a LOT easier now than you could even 2-3 years ago. Congrats on the new truck. 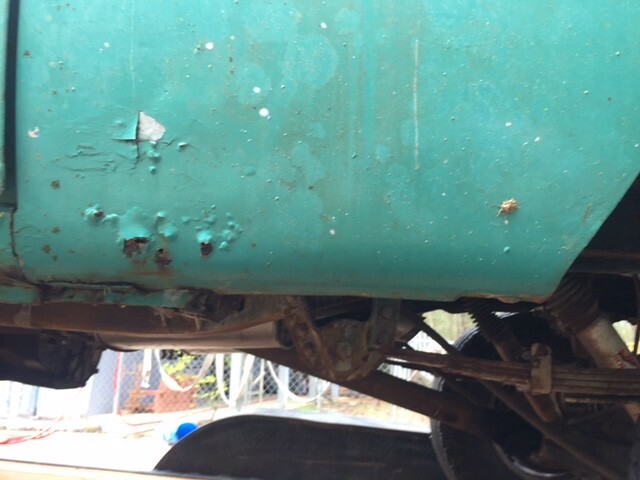 I have been looking for sheet metal in that same Medium Green color for my 71 blazer project. You have all the panels I need! Welcome to the Blazer family. 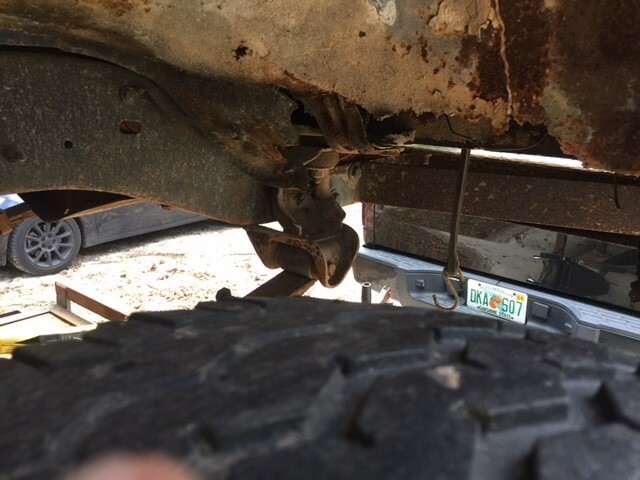 Keep posting pictures as you dig into it - there is always help on this forum and plenty of really informed people on these rigs. It looks like you've got your work cut out for you, but you'll definitely enjoy it once it's done. As far as finding a hardtop, if I lived in Florida I'd probably buy a soft top and run it all year. Thanks for the comments. 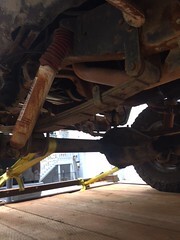 We'll see what it's got, guy said it seemed like a high gear. Maybe they were changed out along the way. Thanks for the tip on the frame. What replacement panel manufacturers do you recommend, from reading threads I have a list but still like to get people's preference. 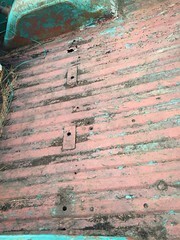 What panels do you need and are you only looking for mint ones not rusted or what? I've thought about a soft top for that very reason. Just dont like the look of all the cross braces that are needed to support it. Plan to do a full roll cage, maybe a custom soft top is the answer. We shall see! Last edited by K5 MAX; 02-17-2018 at 10:31 PM. Best of luck. Lots have started deeper in the hold than you. And like it was said there are so many more sheet metal parts available today than just a few years ago. And if you are not absolutely addicted to these blazers get rid of it now. Once addicted there is no known cure. I have the same color 71 Blazer (518 Medium Green) - see pic from your SPID label below. 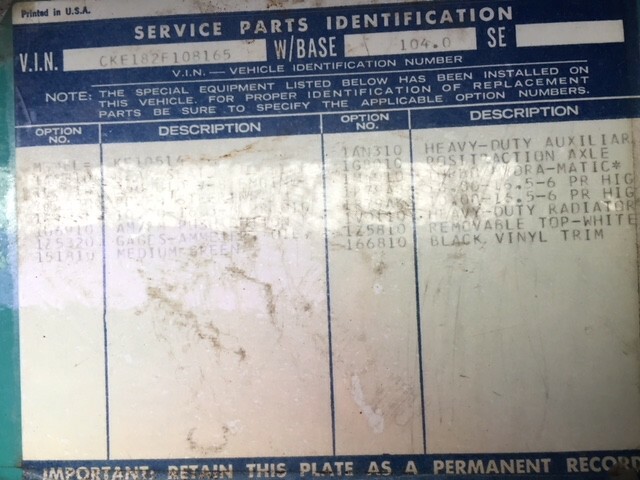 I have been looking for that color sheet metal to replace the primer panels on my truck. 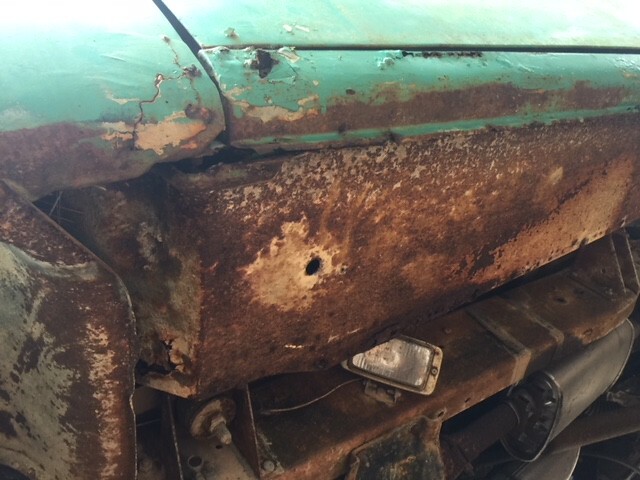 I'm looking for non-rusty hood, front fenders, doors and tailgate. 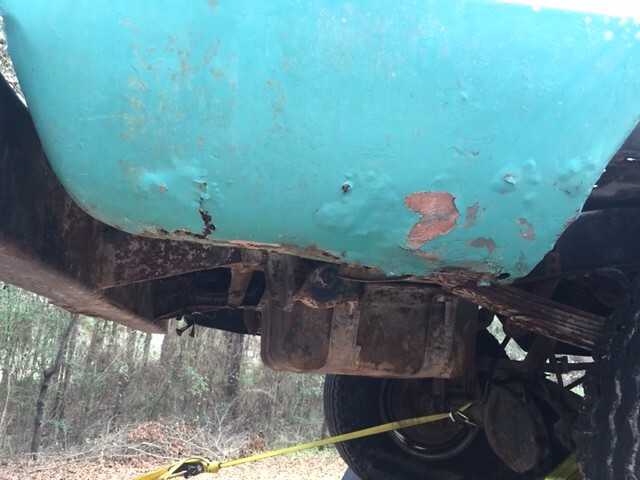 To answer your question on where to find panels - here are a few links for the parts you might need to fix up your Blazer. 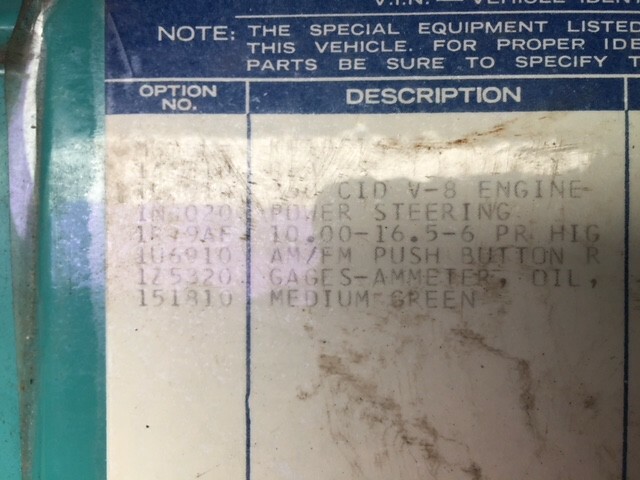 Without checking it out in person - it may only need some of these parts. 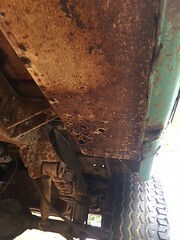 solid windshield frame - is there any rust above the windshield inside the truck? 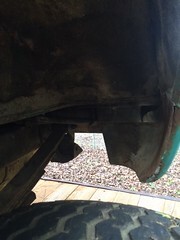 Your pictures didn't show that part of the truck yet. Most of the links above are from one spot (Classic Heartbeat) - I have purchased from several vendors (GMS Pauls, NSaneHotRodz, Tabco, and several different resources AMD, Goodmark, Apex, etc.) so shop around for price, shipping and customer service that fits your needs. Since much of this stuff is oversize - you may want to consider a shop closer to home to save a bit. 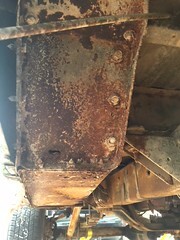 Several of the board vendors use the sheet metal they supply so they know about updates to molds, which parts will fit and which ones to avoid. 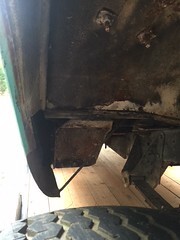 Disclaimer - many, if not all, aftermarket sheet metal parts will need to be tweaked to fit perfect. Nothing I used fit perfectly the first time. 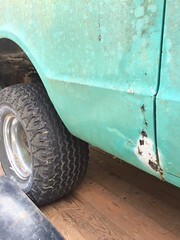 iks dcvn I have all the parts you need on my 69 blazer to bad I need them look in my profile I have some pictures of it. They are close - but not identical when you see them next to each other. Edit - I updated with a screenshot of the two greens when somebody got a spray can of touch up paint and got the wrong shade from this post. It's easier to see on paint that hasn't been in the sun for many years. 71/72 518 Medium green paint on firewall - smaller square is a spray can of 503 light green. They are close. Last edited by lks dcvn; 02-18-2018 at 07:50 PM. 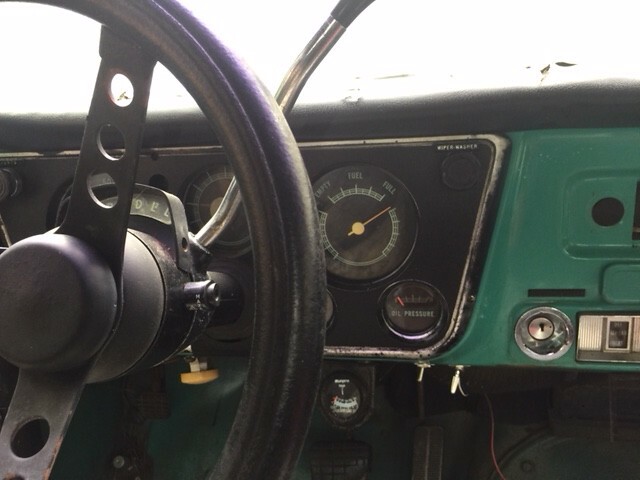 I have those same seats that I am putting in my "72 K5. How are you thinking of mounting them? Are you going to keep them the same height they are at, or cut down the seat mounts to lower the seat? Hi, it's looking pretty good. I bought a 71 about 6 weeks ago. 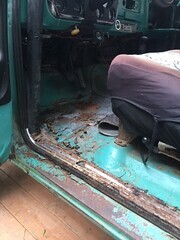 The heavy duty auxiliary refers to the seats. Since your replacing yours, will you be selling the originals, I have a friend looking. Also I have a used but in great condition Bestop soft top. It's practically brand new. I also have a lead on a new in box one. If you're interested in either let me know. Thanks and good luck with your Blazer. NJKelly, thanks for the info! Yeah i will be selling my original seats. Going to wait until i get the new ones in though. Have to decide if i want to keep the new passenger on the stock power tracks or attach it to the 72 tracks that flip forward for rear seat entry. 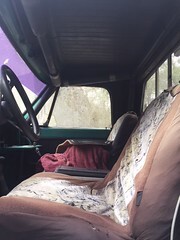 I also have some 73 K5 front seats i'll be selling eventually. Let your friend know. Feel free to give him my email and shoot me some pics of the soft top you have to bsjones1@gmail.com. thanks! I have an extra double wall top I was going to cut down to make a top like yours. I would trade you. 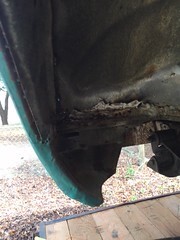 Its needs some repair and a hatch but the price is right... You can see it in my No Daggum Money thread below. 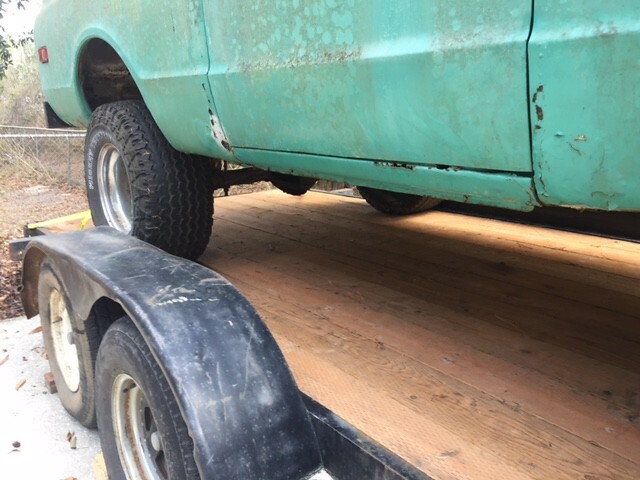 72 Blazer 2wd conversion project "No Daggum Money" http://67-72chevytrucks.com/vboard/s...d.php?t=550804 3.73 posi-4-speed Saginaw-307-no budget build. Last edited by jjzepplin; 05-10-2018 at 11:39 AM. Thanks for the offer but i really don't want a hard top. Since my half top has already been cut up i plan to cut it some more and use just the windshield header mount for a custom soft top to hook up to once i have a full cage. Found a thread where a guy did that, cant find it now.. For now a soft top can get me by. thank you though sir. I'd rather post pictures here then email them to you. I'm new to this forum and I believe there are rules against pricing being done privately Etc don't want to get on the wrong side of the administrators. 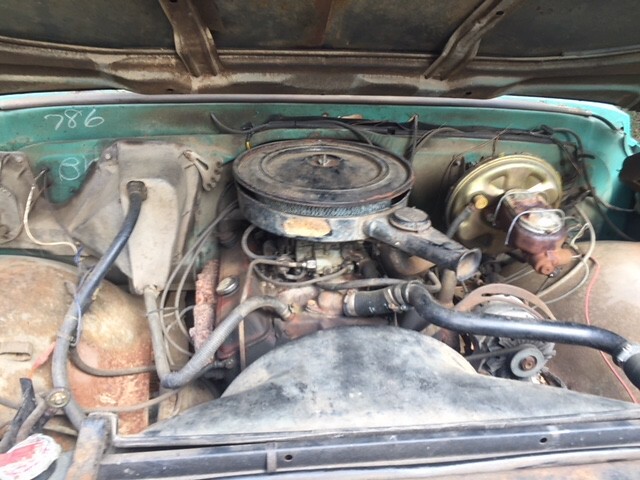 I'll try to get some pictures later, but it is in really good shape. 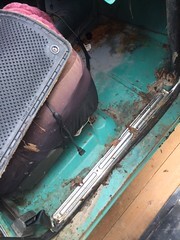 You will not be disappointed, the vinyl windows are clear zippers and buttons are in good shape. Assume the best and shoot me a price based on that. I'm pretty sure selling anything is supposed to be for the for sale or classified section. I don't really care but let's take this conversation back to PM's not on this thread. 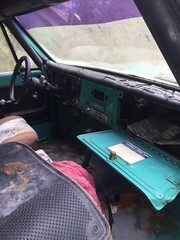 I want to know how the bestop attaches to the windshield frame. pics please, pics here are fine with me. You're absolutely right 😮, my mistake. I'm all over this place lately, not sure what forum I'm in. As for how it mounts to window frame, I don't know. I did get Bestop to send me the installation instructions pdf if you want me to forward to you. 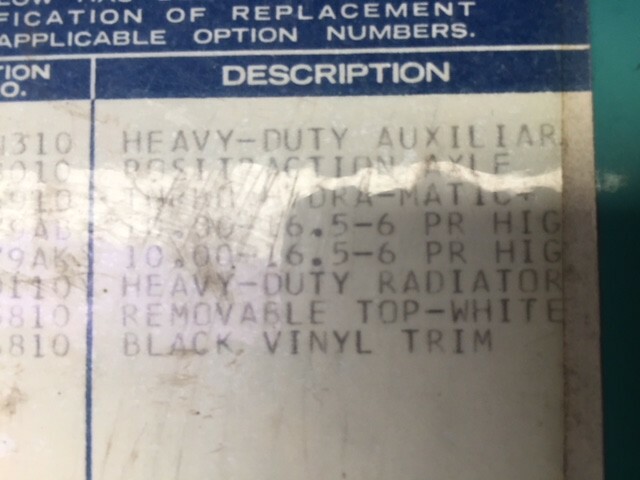 I posted regarding the heavy duty auxiliary option on the glove box door earlier in this thread and I may be wrong. I had thought it refered to the seats but in looking at my glove box it's a different number for the option number and it actually abbreviates auxiliary and spells out seats so now I'm curious as to what those numbers mean if anyone can chime in thanks.